Pathological demand avoidance (PDA), or Newson’s syndrome, is a subtype of autism characterized by an avoidance of the ordinary demands of life. It is identified as a syndrome through the clinical work of UK child psychologist Elizabeth Newson. Newson proposed it to be a specific pervasive developmental disorder (PDD) within the PDD “family” which is now loosely termed the autism spectrum. PDA is increasingly being recognized as a distinct sub-type of autism that responds to different treatment and handling guidelines than other conditions on the autistic spectrum. In common with Asperger’s syndrome and PDD-NOS (pervasive developmental disorder not otherwise specified), pathological demand avoidance is not individually named in the current authority of psychiatric diagnosis, DSM-5, but is included within the diagnosis of ‘Autism Spectrum Disorder’. Clinicians are increasingly prepared to diagnose children (and some adults) with PDA when this profile fits the patient most accurately. 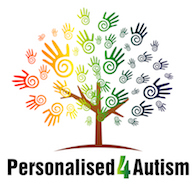 In the United Kingdom there are recognized resources of information that can be followed in order to help integrate PDA children into the school system such as ‘The Distinctive Clinical and Educational Needs of Children with Pathological Demand Avoidance Syndrome: Guidelines for good practice’ by Phil Christie. PDA has gained such a degree of recognition and diagnostic acceptance from the clinical community that the National Autistic Society (a UK autism charity) have produced a leaflet entitled ‘What is PDA?’ after recognising the disorder in 2008.